This entry was posted in America 2013, Felt, felt, workshop, workshops and tagged Felt, Felt Fest, felting classes, felting workshops, The Tin Thimble, US workshops by Nicola. Bookmark the permalink. 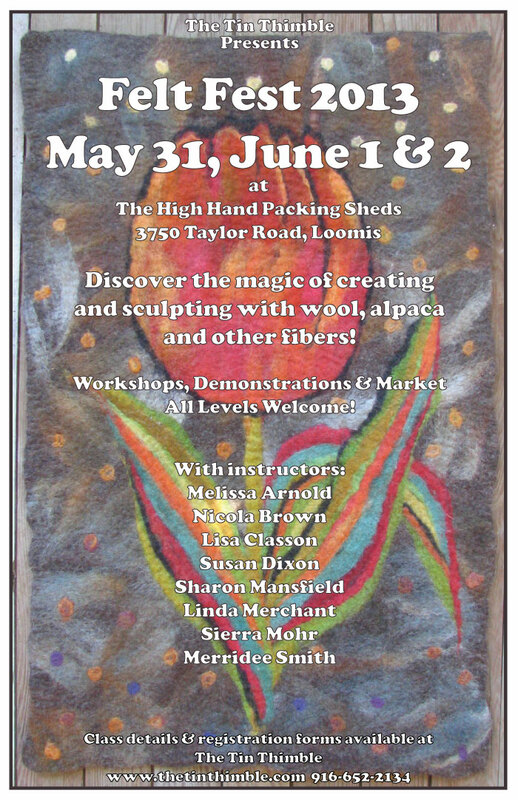 We’re so excited to have you joining in on the Felt Fest Fun this year! Hugs!